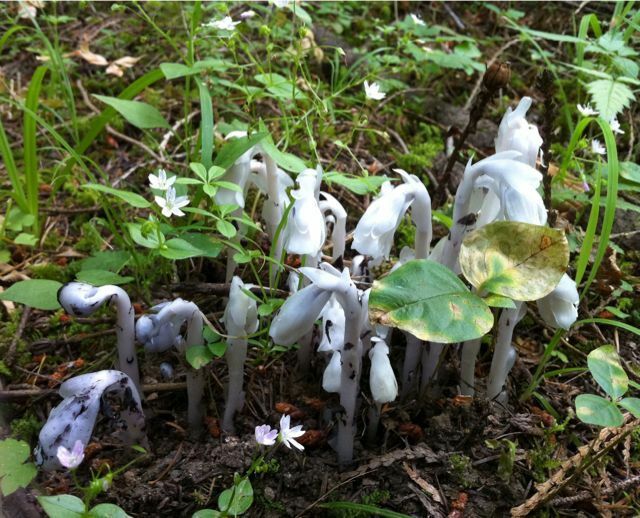 “Monotropa uniflora, also known as the Ghost Plant, Indian Pipe, or Corpse Plant is a herbaceous perennial plant, formerly classified in the family Monotropaceae, but now included within the Ericaceae. It is native to temperate regions of Asia, North America and northern South America, but with large gaps between areas. It is generally scarce or rare in occurrence but is common or even ubiquitous in some areas, such as many parts of eastern North America. 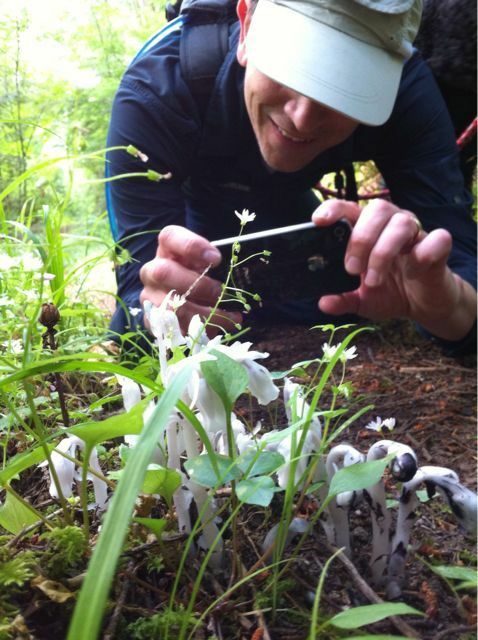 So flower, closely associated with fungi.